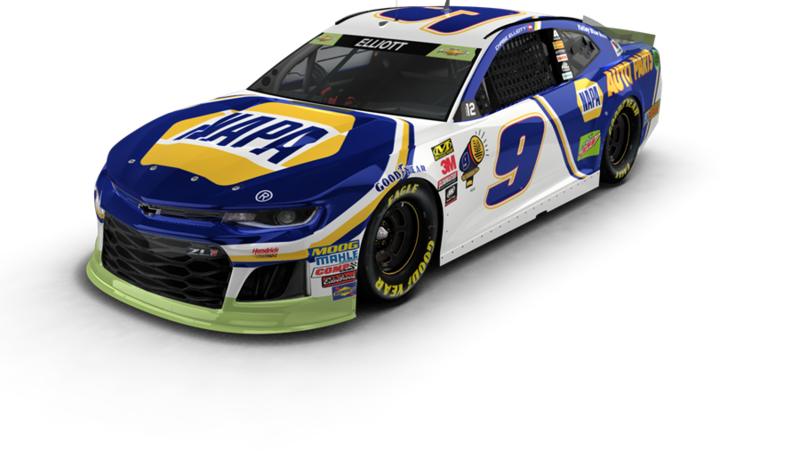 #DI9: Chase Elliott and the No. 9 team secured their spot in the next round of the 2018 NASCAR Cup Series playoffs by finishing sixth and earning 42 points at the Charlotte Motor Speedway “roval” last weekend. It marks Elliott’s third consecutive season competing in the Round of 12. Since the start of the playoffs in 2017, Elliott owns the third-best average finish in playoff races (9.6) among NASCAR Cup Series drivers. NEXT THREE: The Round of 12 consists of Dover International Speedway, Talladega Superspeedway, and Kansas Speedway – all venues where Elliott has performed well in the past. In his three previous starts at those three tracks in 2018, the 22-year-old driver averages a starting position of 9.3 and finishing position of 9.0. Earlier this season, the driver of the No. 9 NAPA AUTO PARTS Chevrolet Camaro ZL1 finished third at Talladega, marking his best restrictor-plate result. During the 2017 playoffs, Elliott collected top-five finishes at both Dover (second) and Kansas (fourth). LAST 10: This season, Elliott tied his longest career top-10 streak, spanning six races. In the last 10 races, Elliott has led 235 laps and finished inside the top 10 eight times, including finishes of sixth or better in the last two races. He and the No. 9 team have been trending upwards in the last 10 races with an average finish of 9.1 – significantly better than the team’s 14.4 average finish during the first 19 races of the season. In the last six races, Elliott’s average finish of 7.07 ranks him second among his competitors behind only Kyle Larson. LAST YEAR AT DOVER: During the Dover playoff race last season, Elliott and the No. 9 team had an impressive showing. Elliott started the day 12th, broke into the top 10 early and maintained that position in Stage 1 (seventh) and 2 (third). The third-year driver led 138 laps in the event. As Elliott worked to navigate his way through lapped traffic in the closing laps, he was passed by Kyle Busch as the white flag waved and ultimately finished second. ‘MONSTER MILE’ STATS: Elliott has garnered four top-five finishes in five starts at Dover International Speedway, three of which were top-three finishes and one was a runner-up result. Elliott averages a starting position of 11.2 and a finishing position of 5.0 at the one-mile oval and has led 138 laps, all during the October 2017 visit to the “Monster Mile” – his most ever in a single race. Elliott finished in the top three in both of his rookie appearances at Dover in 2016 – something only Jimmie Johnson, Kyle Busch and Davey Allison have done in their rookie seasons. Elliott also has four starts in the NASCAR Xfinity Series and one in the NASCAR Camping World Truck Series at the Dover, Delaware, track and never finished outside the top 10 in either series. ROVAL REWIND: Elliott took the green flag for the Bank of America ROVAL 400 at Charlotte Motor Speedway in fourth and used momentum in the first stage to move into the runner-up position. Following a late caution in the opening segment, Elliott was shuffled back on the restart, but he managed to maintain his top-five position to finish Stage 1 in fifth. Many competitors elected not to pit between stages, so a pit stop by the No. 9 team left Elliott 26th for the Stage 2 restart. 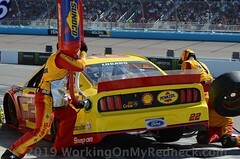 He steadily gained positions throughout the second segment and as competitors headed to pit road, Elliott remained on track to move into the top 10 and made his way to sixth just before the green-checkered flag waved for the end of Stage 2. Similar to the first stage break, many competitors remained on the track and did not pit after the second stage while the No. 9 team elected to head to pit road. On fresh tires, Elliott quickly moved up to 13th before a caution flag waved at Lap 59. With 25 laps to go, Elliott had settled into eighth and was scored seventh when the race was slowed for an incident on Lap 101. On the next restart with just six laps remaining, Elliott avoided a multi-car incident in Turn 1 that forced NASCAR to wave the red flag for a lengthy cleanup process. Elliott lined up third for the race’s final restart with three laps remaining. Through a fierce battle over the closing laps, the No. 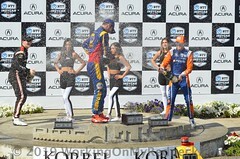 9 was shuffled back several positions to take the checkered flag sixth and advance to the Round of 12 on points. NEW SCHEME FOR THE NO. 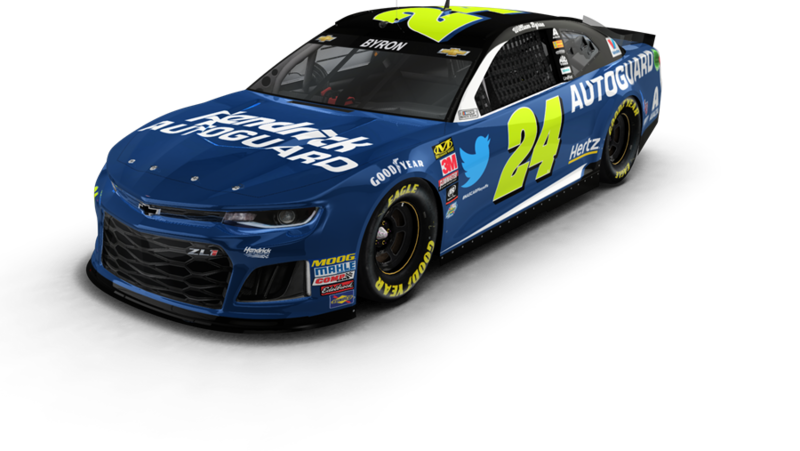 24: This weekend at Dover International Speedway, William Byron’s No. 24 Chevrolet Camaro ZL1 will have a new paint scheme. Hendrick Autoguard, a vehicle protection program that helps Hendrick Automotive Group customers get the maximum value from their vehicles, will be featured on the No. 24 Chevy for two races – at Dover this Sunday and at Texas Motor Speedway on Nov. 4. The primarily blue and black scheme features bright yellow numbers and can be seen here. HENDRICK AUTOGUARD: Hendrick Autoguard is a premier extended, prepaid service agreement program available to Hendrick Automotive Group customers, which includes additional individualized maintenance products like Mechanical Repair Contract, Flexible Maintenance, Tire & Wheel Protection, Paint & Fabric Protection and others. The program affords customers numerous options to provide their automotive investment the maximum level of value with the highest level of service in the industry. All Autoguard vehicle protection programs are available as single products or value-packaged for additional savings. For more, visit the Hendrick Autoguard website. ‘MONSTER MILE’ STATS: Byron has only made one NASCAR Cup Series start at Dover International Speedway, earning a 14th-place finish in the spring race this season. 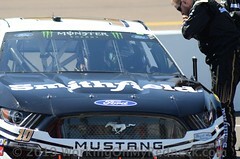 The 20-year-old driver has experienced success at the one-mile oval in the other NASCAR national series. In his first NASCAR Xfinity Series race at the track nicknamed the “Monster Mile,” Byron finished sixth and scored an Xfinity Dash 4 Cash win. In the fall of 2017, he earned the pole for the Xfinity race and led 62 laps before finishing third. The Charlotte, North Carolina, native also has one start at the concrete oval in the NASCAR Camping World Truck Series in 2016, when he started on the pole, led 80 laps and finished 11th. TOUGH TRACK: Byron’s past success at the “Monster Mile” will help, but winning a race there is no easy feat. There have only been two first-time winners at Dover in Cup Series history – Martin Truex Jr. (2007) and Jody Ridley (1981) – although Jimmie Johnson won twice at the one-mile oval during his rookie season in 2002. However, three Hendrick Motorsports drivers finished in the top three in both Dover races in their rookie seasons – Johnson (2002), Kyle Busch (2005) and Chase Elliott (2016). ROOKIE BATTLE: With just seven races remaining in the 2018 season, Byron continues to hold the lead in the battle for the NASCAR Cup Series rookie of the year title. The driver of the No. 24 Hendrick Autoguard Chevrolet Camaro ZL1 leads the rookie standings by 116 points over Bubba Wallace. ON THE COVER: Byron has seen plenty of success in his NASCAR career thanks to a never-quit attitude. That mindset has helped him achieve plenty away from the racetrack, as well, including achieving the highest rank of the Boy Scouts of America – Eagle Scout. Byron, who was honored at the annual Good Scout Award breakfast last year, is on the cover of this quarter’s Eagles’ Call magazine, which proudly publishes the achievements of Eagle Scouts across the country. He also sat down with the publication at the track to discuss his racing career and the role scouting has played in his life. Check out the video here. CHASING EIGHT: Jimmie Johnson scored an eighth-place finish at Charlotte Motor Speedway last weekend after an exciting last-lap effort to take the lead, which resulted in a spin. The finish position forced a three-way tie for two playoff transfer spots and the end result eliminated Johnson and the No. 48 team from the NASCAR playoffs for the 2018 season. BRING ON DOVER: Johnson has more wins at Dover (11) than 28 other drivers on the entry list for the race this weekend have in their NASCAR Cup Series careers. Johnson’s last win at Dover was on June 4, 2017, which was also his historic 83rd win, tying Cale Yarborough for sixth on the all-time wins list. In May, Johnson scored a ninth-place finish at the one-mile concrete track. SUCCESS AT FIRST SIGHT: Johnson and his No. 48 Lowe’s for Pros Chevrolet Camaro ZL1 have led 3,105 laps around the “Monster Mile” – the most laps led all-time at the track. The driver who is closest in laps led to Johnson is NASCAR Hall of Famer Bobby Allison with 2,803 laps led at the venue. Success came almost instantly at Dover for Johnson, as his first win at the track was accomplished in his first start on the concrete track on June 2, 2002. That same season during his rookie campaign, Johnson swept the Dover events, also winning the September race after starting 10th and leading 170 laps. ASSISTING IN RECOVERY: Johnson’s longtime partner Lowe’s continues to be involved in the recovery efforts from Hurricane Florence along the coast of North Carolina. Last week, Johnson, Lowe’s employees from the Concord, North Carolina, store and fans in town for the race at Charlotte Motor Speedway packed 480 buckets of clean-up materials that will be delivered to the Camp Lejeune area this week courtesy of the North Carolina USO. Click here for photo gallery. PINK GLOVES FOR OCTOBER: In an effort to recognize Breast Cancer awareness month, Johnson will wear pink racing gloves for the month of October. He also will use a pink Gatorade towel post-race, and his Team Lowe’s Racing New Era hat has pink accents. JJ DOVER TICKET PACKAGE: Tickets are still available for fans to participate in a question-and-answer session with the seven-time NASCAR champion and 11-time Dover winner before the race on Sunday. The package, which costs $60, includes one adult NASCAR Cup Series race ticket for Oct. 7, one junior ticket (children under 12) in the lower sections of the turns and Q&A passes (on the frontstretch near Turn 1 on Sunday morning). Click here for more info. PLAYOFF STANDINGS: Alex Bowman and the No. 88 team clinched a spot in the Round of 12 after finishing last weekend’s race at Charlotte Motor Speedway in the fourth position. During the Round of 16, Bowman averaged a starting position of 8.3 and a finishing position of 11.7. It marks the first time in the driver’s career that he has advanced to the Round of 12. 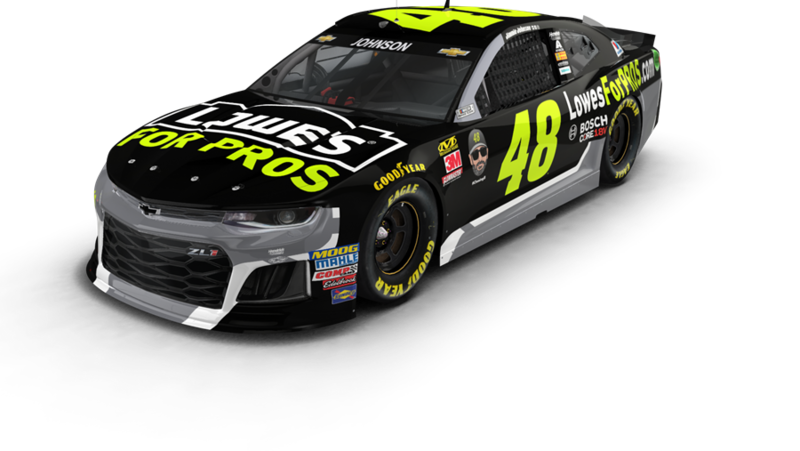 RECENT STATS: Bowman captured two top-10 stage finishes last weekend at the “roval,” earning valuable stage points to help him advance in the playoffs. On five different occasions, Bowman has finished at least five positions better than his average running position at tracks this season. Before the 2018 season, Bowman had yet to capture a top-five finish, but so far this season he has earned three. The driver finished fifth at Bristol Motor Speedway in the spring, third at Pocono and fourth last weekend at Charlotte. BOWMAN AT DOVER: Bowman has five previous starts at Dover International Speedway in the NASCAR Cup Series. 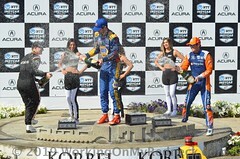 Earlier this season, the 25-year-old driver finished 23rd after qualifying 15th at the track. Bowman’s best finish of 20th came back in 2015. The driver has six starts at the track in the NASCAR Xfinity Series, where he earned two top-five finishes. Bowman led 33 laps en route to a third-place finish in 2016 when he ran select races with JR Motorsports. In the fall of 2016, the driver qualified fourth and finished fifth for JR Motorsports. Bowman has one start at the one-mile track in the NASCAR K&N Pro Series East, finishing 23rd due to engine issues after completing 86.8 percent of the laps. IVES VS. MILES THE MONSTER: No. 88 team crew chief Greg Ives has called the shots seven times at Dover International Speedway. Ives’ drivers have accumulated one top-five finish and three top-10s at the one-mile track and have an average finish of 14.3. The Michigan native has four starts as a crew chief at the track in the NASCAR Xfinity Series and earned two top-five finishes and three top-10s. From 2006-2012, Ives was a race engineer on the No. 48 team. During that time, he was part of four pole awards, four wins and 10 top-10 finishes at Dover. AXALTA ON BOARD: Bowman will be behind the wheel of the No. 88 Axalta Chevrolet Camaro ZL1 this weekend in Dover. 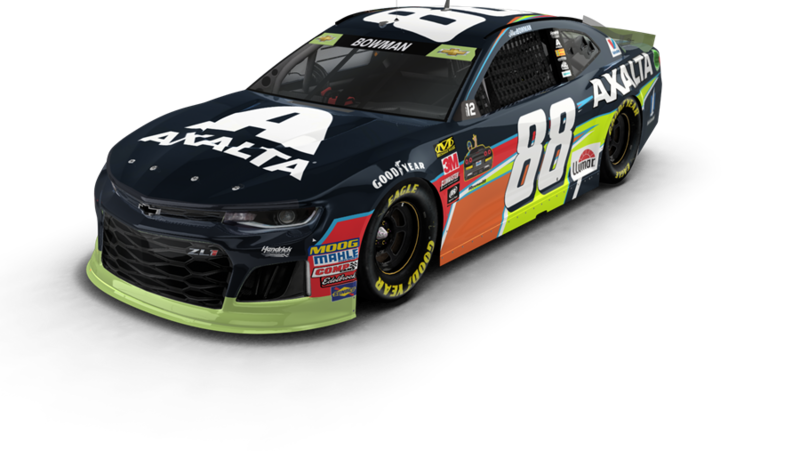 Axalta will be on the car for four more races this season, including this weekend’s event. Earlier this season, Hendrick Motorsports announced that Axalta would be back on board the No. 88 Chevrolet Camaro ZL1 in 2019 for 12 events. The leading global supplier of liquid and powder coatings signed a four-year contract extension that will take the sponsorship through 2022. Yesterday, Axalta unveiled a new Axalta Racing website with plenty of behind-the-scenes content, photos and videos. Check out Bowman’s page here. PLAYOFF PROWESS: The 2018 season marks the 13th consecutive season in which Hendrick Motorsports has sent at least two drivers into the NASCAR Cup Series playoffs, the most of all organizations. Hendrick Motorsports has placed at least three drivers in the playoffs in 11 different seasons, also the most of all teams. The organization has accumulated 41 wins during the playoffs, the most all-time. A Hendrick Motorsports driver has made the Championship 4 in two of the four seasons in the current format, and won the championship in seven of the 14 seasons with a playoff system. Chase Elliott, Jimmie Johnson, and Alex Bowman qualified for this year’s playoffs. However, Johnson’s 2018 championship run was cut short after he was eliminated following the Charlotte race. HENDRICK MOTORSPORTS AT DOVER: At Dover International Speedway, Hendrick Motorsports has 19 wins, 15 runner-up results, 64 top-five finishes, 104 top-10s and 6,678 laps led, all of which are all-time records at the track. 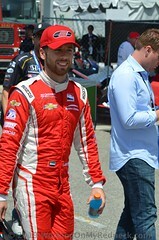 Johnson most recently visited Victory Lane for the organization at the track in June 2017. FINDING VICTORY LANE: Hendrick Motorsports’ 19 wins at Dover are tied with Charlotte Motor Speedway for the organization’s second-most at a track. Those 19 wins have come via five different drivers – Johnson (11), Gordon (5), Geoff Bodine, Ken Schrader and Ricky Rudd. FIRST-TIME WINNERS: With Elliott earning his first Cup Series win at Watkins Glen, Hendrick Motorsports now holds the record for the most first-time Cup Series winners with nine. If William Byron or Bowman wins at Dover, it will extend the record to the 10th time a driver has recorded his first career Cup Series win while driving for Hendrick Motorsports. ORGANIZATION STATS: To date, Hendrick Motorsports has totals of 12 championships, 250 race victories, 215 pole positions, 1,043 top-five finishes and 1,779 top-10 finishes in points-paying NASCAR Cup Series competition. Its teams have led more than 67,000 laps since 1984.